Why settle for an average life when you can create a life full of even more happiness, success and fulfilment? 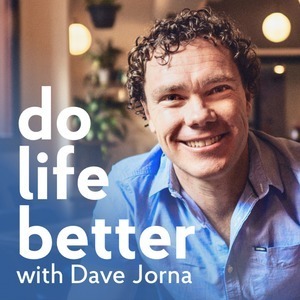 In this podcast, we will share inspirational messages, proven methods, quick life hacks and interviews with expert guests so that you can do your life even better, both now and in the future. Your hosts, Dave Jorna, is among Australia'a most sought-after presenters for student leadership and personal development. Experiencing true happiness doesn't mean that you need to have an absence of sadness. Instead, you can be both happy and sad at the same time but only if you let yourself be open to the experiences. For this Feel Good Friday, we revisit some wisdom and inspiration from Steve Willis (aka Commando Steve) as he shares about the importance of tapping into your intuition and allowing yourself to experience the range of emotions in their fullness. Have you ever given up on something too early because you put it in the ‘too hard’ basket? Maybe it was a business venture, a new skill, a subject you studied, or a hobby. What if you gave it another go with a greater sense of openness, passion and willingness to improve? With the right mindset, support and hard work, you can get closer to where you want to be. Today’s guest, Eddie Woo, who has over 25 million downloads on YouTube, is a perfect example of what can be achieved when a growth mindset is combined with passion. It's time to turn that inner critic into your own personal coach. Focusing on that harsh, unhelpful self-talk probably hasn't gotten you anywhere, so let's turn it into constructive thinking. You show up with empathy, compassion, and positivity for your friends and loved ones, so start doing the same for yourself. In this Feel Good Friday, I'll give you the inspiration and tips you need to be your own coach. 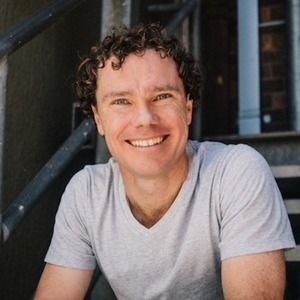 This is the second half of the conversation with Matt Griggs and we pick it up just after Matt spoke about the extra clarity, awareness, presence and openness that comes from practicing Kelee meditation. And, how all this leads to reducing your fear which means that you are far more open to taking on positive risks, trying new things and backing yourself making growth and development far more exponential. It’s time to revisit your 5. You are literally the average of the 5 people you associate with the most. Your values, beliefs, mindset, relationships, health and wellbeing, levels of happiness, ambitions, income, whether you smoke or not, and much more are all directly related to the 5 people you associate with the most. When you surround yourself with the rigth people, you spend less time questioning and doubting yourself, less time worrying about the negativity of others, and more time being and building your greatest self. You then have more to give those you love, to your family, your friends and colleagues. During this Feel Good Friday, I share with you the importance of surrounding yourself with the best 5 people for you. Imagine the level of self belief and confidence you could create if you weren’t affected by the negativity of others and if you weren’t inhibited by your own fears. Attaining this degree of detachment and clarity of mind would enable you to notice much more around you and help you live a life with far greater freedom to be your truest self and take on your biggest dreams. Today’s guest, Matt Griggs, is a true example of what it means to be open to everything and affected by nothing. Matt is a high performance coach, hailing from Sydney. A former professional surfer himself, Matt has coached, world champions, Australasian champions, published 2 best-sellers, coached and lectured on performance to many leading executive groups world-wide. Matt is at the forefront of performance coaching, having worked with Mick Fanning (2007/09 World Surfing Champion), Stephanie Gilmore (current and 4 x Women’s World Surfing Champion), Owen Wright (current World Tour surfer), first grade NRL players and many other elite athletes. Matt also teaches a unique meditation (Kelee) that helps people detach from disharmonious thoughts and emotions, so they may distill their natural ability to its purist point. Matt has a 360-degree view of performance and brings his deeper understanding of health, happiness and high performance to everyone from professional athletes to businessman. I’ve decided to split this chat over two episodes because we went on for a while! I found his experience on the world stage for surfing as a competitor and coach incredibly intriguing, and then his understanding of the mind blew me away - especially when it comes to the meditation technique he uses, Kelee Meditation.